Delta Faucet’s First Wave Innovation Lab has introduced its first product, the residential Glass Rinser, modeled off of those used in bars and restaurants. Similar to commercial models, Glass Rinser has a center-positioned jet. When a glass is pressed into it, a spray of water washes away dust and residue. The Glass Rinser works on a variety of different glass sizes, including water bottles with narrow openings. It fits a standard countertop mounting hole and requires a water supply connection to function. A pathway drains water into the sink bowl for minimal mess. 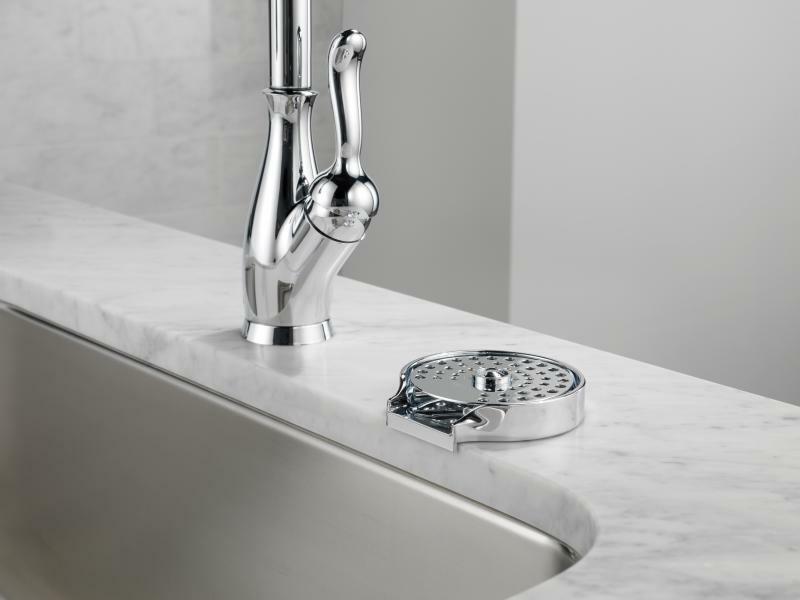 "The Glass Rinser is a perfect example of what our Innovation Lab can accomplish, taking a product with longstanding commercial value and reimagining it for use in home kitchens," says Missi Tate, senior marketing manager at Delta Faucet Co. "Our market research showed us that customers were interested in a solution to more efficiently and effectively rinse items at the kitchen sink, so we decided to make that concept a reality." This is the first product to come out of Delta’s First Wave Innovation Lab, a collection of engineers and innovators with a mission to revolutionize faucet and shower products to change the way people think about water. The group has released the product to Indiegogo users, a group of early advocates and market validators who will test the product and provide feedback before it’s mass produced. The Glass Rinser is available in chrome or stainless steel, and can be pre-ordered on Indiegogo at a discounted price through November 19. Following the completion of the Indiegogo campaign, the First Wave team will determine a larger production strategy.